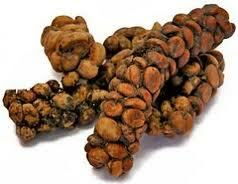 Kopi Luwak is coffee made from the digested, partially fermented beans expelled from the Asian Palm Civet’s digestive tract. 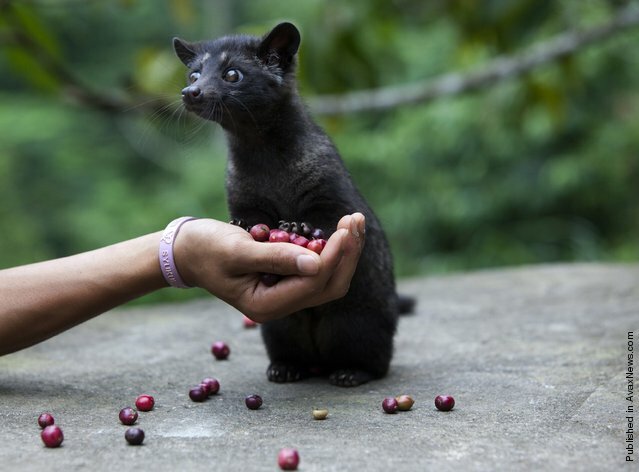 The wild cats choose the ripest, reddest coffee berries, but the whole thing is not digested. The resultant faeces are washed and the beans are then turned into coffee. 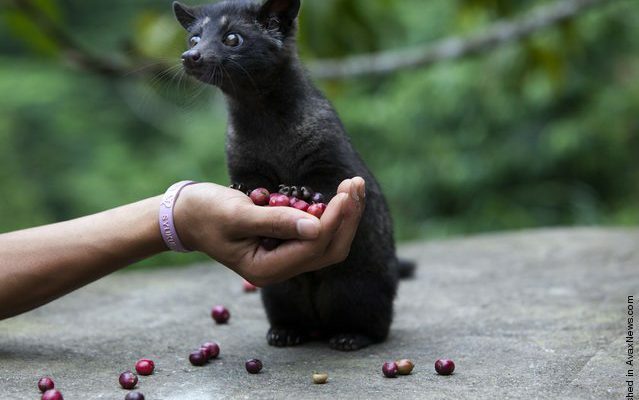 TONY WILD introduced the coffee to the world, and he is so upset by what has happened to the animals he hasd a campaign to stop the industry he inadvertently spawned! 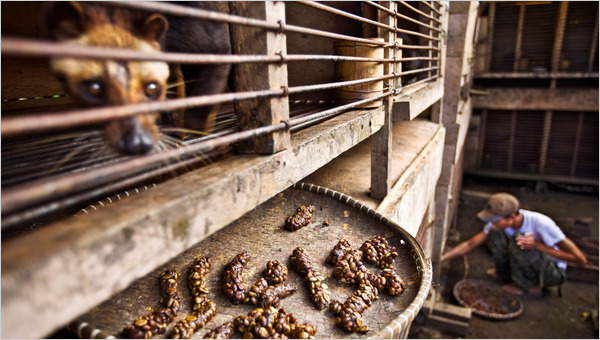 The naturally shy and solitary nocturnal civets suffer greatly from the stress of being caged in proximity to other luwaks, and the unnatural emphasis on coffee cherries in their diet causes other health problems too; they fight among themselves, gnaw off their own legs, start passing blood in their stools, and frequently die.